Well, my reaction to this book was surprisingly ambiguous. It’s a story that does have flashes of brilliance – particularly in the sandy, sun-swept atmosphere and moral shades of gray, not to mention the strange and colorful cast of characters (definitely not the usual YA suspects) – but it was also a read that never really engendered more than a vague sense of interest in me. And while a fair bit of that may come down to taste, I also lay the blame squarely at the feet of Cali, who as a main character just wasn’t all that compelling. Now to be fair, it probably didn’t help that I’d seen this book compared to Veronica Mars. And though I can understand why – given the noir-ish California setting and down and out teen protagonist – I think the comparison also just serves to highlight this book’s lack of character when it comes to its leading man. Because where Veronica was a fascinating spitfire, a snarky, jaded, tough gumshoe with a surprisingly soft underbelly, Cali just reads like a lens through which to see the world of Venice Beach, and nothing more – a cypher. Because in terms of personality, well, Cali is A Nice Guy. And that’s it; that’s all we get – never mind how tough his life has been, or what he’s been through, or how it might then seem odd that he’s still somehow such an innocently sweet kid – because hey, he’s The Nice Guy. And the unbelievably frustrating thing about it all was, aside from Cali, every other character in this book is colorful and interesting – and so I kept waiting for something to happen, for Cali to show some kind of edge or flaw, like, say, maybe some kind of hurt or anger at the tough, uncertain life he’s been living – but it just never came to be. Instead nothing ever seemed to dent or mar Cali’s Nice Guy-ness – hey everyone likes him! He’s a Nice Guy! – and that easy blandness ultimately felt like a painful cop-out. So while I truly enjoyed seeing and experience Cali’s world, when it came to Cali himself, I just never got a sense of authentic personality – and so I could never find a reason to really care about him at all. And that made for an uneasy co-existence between myself and this book, as I was equal parts intrigued and underwhelmed by what I was reading. My other problem with this book was that, for a book billed as a mystery, there was very little sleuthing to be found inside. The plot is a thin construction at best, and so the story reads more like a series of character vignettes than anything else, as Cali basically meanders up and down the beach, asking the people he knows – and he knows everyone – until he gets word of the people he’s searching for. And while the characters he meets are bizarre and fascinating, and I could also appreciate the authenticity (in how an insider is able to work the grapevine in a way no one else can), it all frankly made for a flat, low-key flat affair – in terms of pacing, I’d rate it a saunter at best. And worse, it all just didn’t require any particular insight or intelligence on Cali’s part – once again, he was just The Nice Dude, and of course, everyone talks to The Nice Guy. And so once again I found myself tripping over Cali’s generic, mile-wide do-gooder streak, because in terms of plot, this whole story hinges on random people trusting Cali because he’s The Nice Guy – and once again, the fact that Cali is more a WHAT than a WHO is inescapable. And frankly, all together it made me feel a kind of disassociation from this story – because I just could never get inside the caricature that was Cali. How I wanted that facade to crack – a chance to get beneath the hood and see who Cali really was, so the plot could then challenge him in some way to change or grow, or maybe even confront something that truly tests his Nice-Guy-ness – but sadly, this book just never went there. No, this is a story about a Nice Guy, wandering the beach, in search of missing people – and well, he just never has to try very hard to find them. 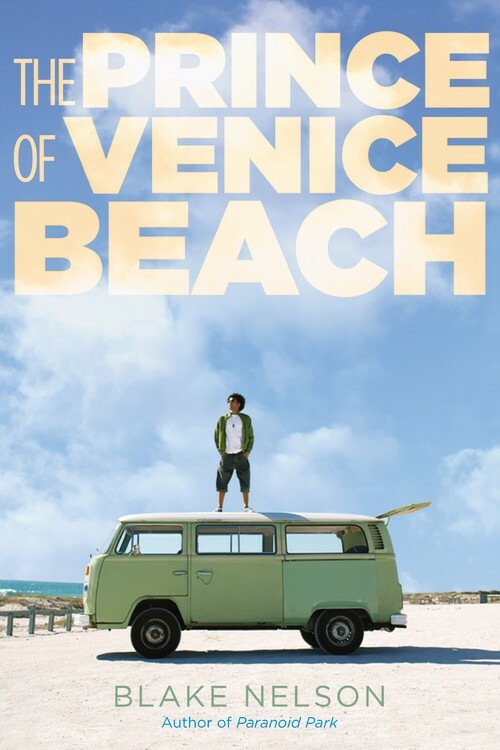 So while the world of homeless teens on Venice Beach is a genuinely fascinating one, as for the whodunit itself, there wasn’t much mystery involved – though it did have a fun flavor of moral ambiguity. And as for Cali, well, as I think you can tell I’m not a fan – though to be fair, between my unholy love of Philip Marlowe and Veronica Mars, I guess I do have indecently high standards when it comes to a leading gumshoe of this particular genre. But that said, I do think you need a core of personality, a distinctive stamp, for this kind of story to work – and well, this story just didn’t have it. So in the end, would I read more of Cali’s adventures on Venice Beach? Well, I’d say the forecast was stormy at best. Nelson (Recovery Road) combines a hardboiled first-person narrative and a languid Southern California setting to establish a seductive surf noir atmosphere in the story of Robert “Cali” Callahan, a 17-year-old runaway who’s testing out a potential career as a private investigator on the streets of Venice Beach. The gritty beach setting, compelling cast of sensitively drawn secondary characters and spot-on dialogue elevate the story beyond that of a typical genre mystery.